Mont Royal Avenue is the centre of everything cool on the Plateau. 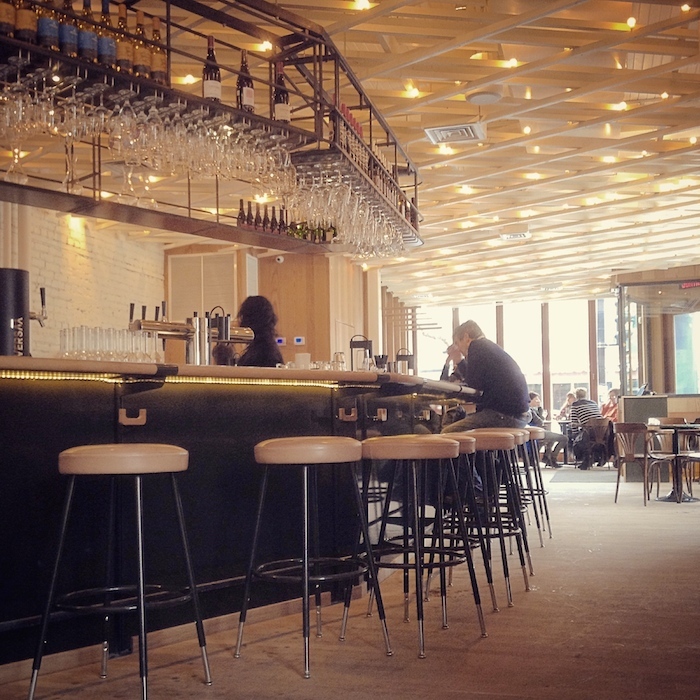 Over the past few years the scene on the Plateau has weakened, as St. Henri and Griffintown have become the flavour du jour for our city’s hip new openings and cool new spaces. Though activity on the Plateau may have slowed down, the heart is still beating and proof of this lies in places like the brand spanking new, Rouge Gorge. Rouge Gorge is without a doubt one of the most beautiful new spaces I’ve seen in the city. Designed by Zebulon (Grinder, le Plan B, Lea), the space has been transformed from a seedy plateau dive bar into a beautiful and airy space filled with angled mirrors that create crazy optical illusions. 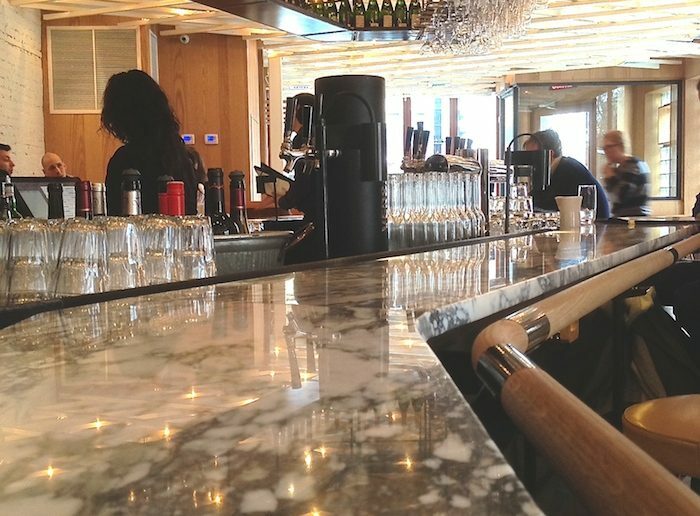 Keeping the atmosphere light, the new bar uses light coloured wood and glistening white marble on the bar. 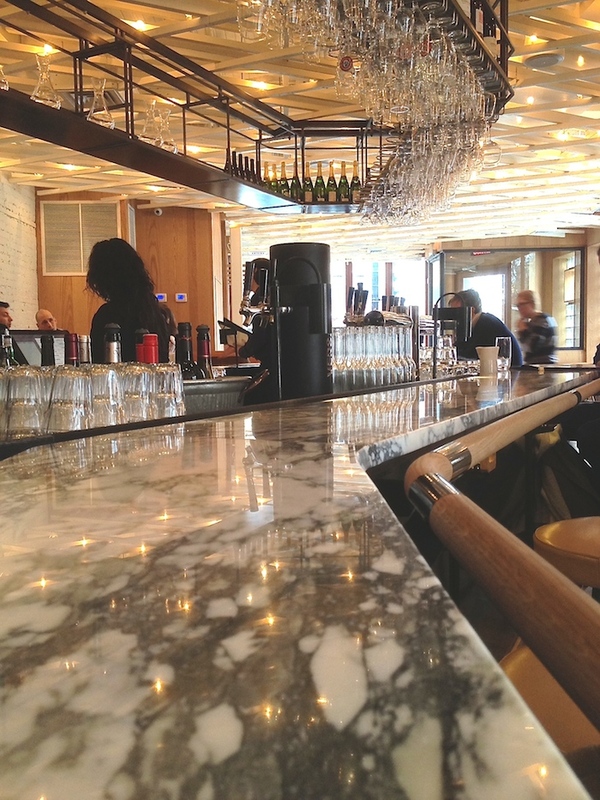 The ceiling of the bar is magnificent with white wooden slats zigzagging and crisscrossing throughout the entire space. Rouge Gorge has definitely upped the aesthetic ante on the Plateau. As Rouge Gorge is primarily a wine bar, they concentrate their efforts on their vast selection of wine, cocktails and beer. There is a small food menu designed for snacking as we sip on our favorite drinks. During our impromptu visit a lovely waitress served us and the rest of the team seems cohesive and friendly (with each other and the patrons). They have been open for a little less than a week and the energy is fresh and vibrant. 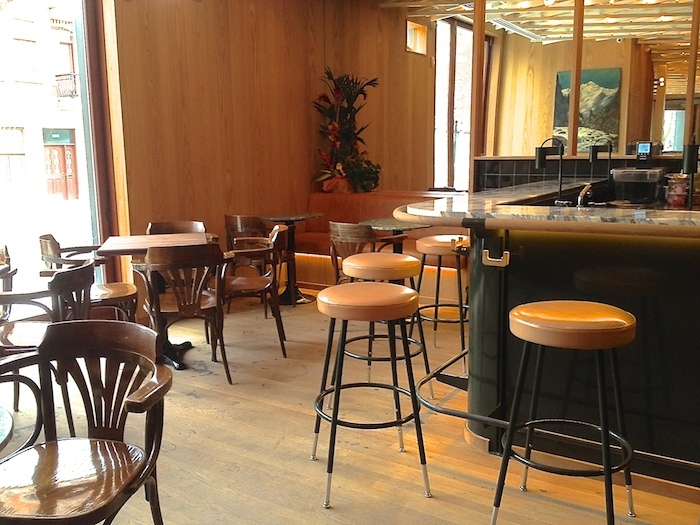 Rouge Gorge is going to be without a doubt, a not-to-miss Plateau hotspot. We also had a top-secret preview of what’s going on under Rouge Gorge, but you’ll have to wait and see what comes of that.